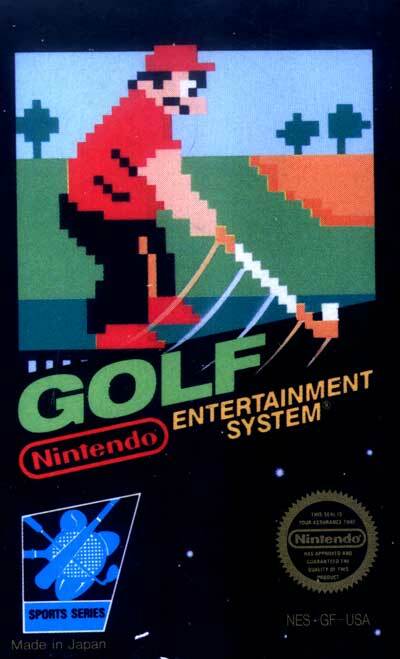 Golf is a sports-related video game released in 1985 for the Nintendo Entertainment System, and was the first golfing game to feature Mario. His appearance is slightly different from how he usually looks in games, wearing white and blue clothes and being fat. The user must first decide whether to play single stroke play or the two player selections of doubles stroke play or match play. The user is then placed at the tee of the first hole of eighteen. The game does not automatically switch to the best club, making it harder for a user with no knowledge of golf clubs at a disadvantage.